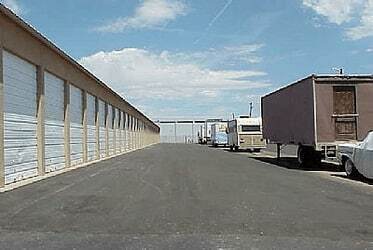 For many of you, this may be the first time you are in need of self storage unit in Sparks. This is why we at Security Storage, want to make your decision an easy one. Security Storage in Sparks, NV is located between South McCarran Boulevard and Spice Island Drive in the Vista neighborhood of Sparks. We have a variety of clean and affordable garage style, drive up access units in sizes 10'x10' and 10'x24', which are perfect for your household or business storage needs. You'll never have to hassle with elevators or stairs because all of our storage units at our Sparks facility are ground level. If you aren't sure which storage unit size is right for you, take a look at our helpful storage calculator, or call on our experienced staff and they will walk you through the process. Learn more about Industrial Section Sparks self storage.